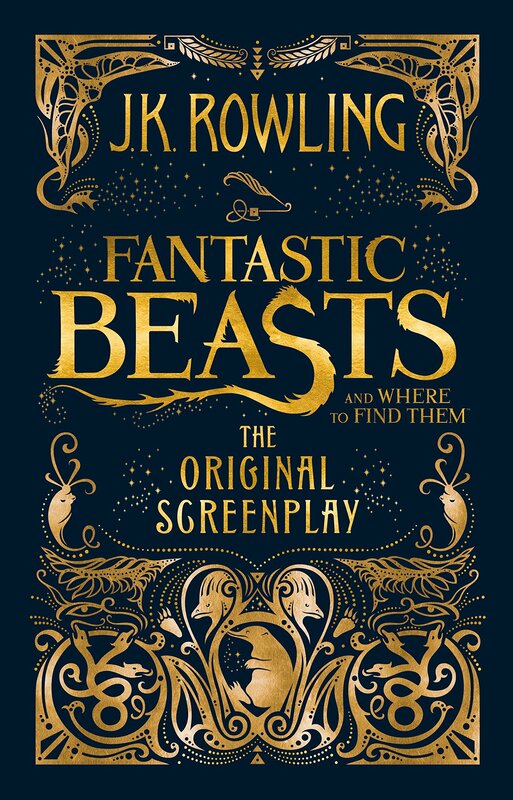 While I'm a true believer in always reading the book before seeing the film, I reversed this mantra for Fantastic Beasts. I've read a few screenplays in the past, and they're so entirely different to prose, I knew I would fare better with the visual effects first. The lack of description in a screenplay completely hinders any sort of imagination building, and the emboldened camera directions are a putter offer. Nevertheless..
As a true lover of the jazz twenties and New York, particularly New York in the jazz twenties, I was so excited about this. Throw in some magic - I am sold and non-returnable. Without turning this into a review of the film, rather than the screenplay, I wasn't disappointed in the scenes, the clothing, and the customs (seedy alleyway bars during Prohibition have always excited me, never mind ones filled with goblins and the worst magical criminals in the city). It was absolutely gorgeous. Newt is such a beautiful character. His kind heart, and clear love for his animals, truly and irrevocably binds him to Hufflepuff house. There wasn't a great deal of his backstory given to us, only little hints and nods to an excellent relationship with Dumbledore, and more interestingly, an acquaintance with a Lestrange. It leaves an overwhelming desire to learn more of his past life, and most importantly, his school life. The subtle references to the Potter books were glorious, but not important to the plot. The most important thing about this is that, although set in the wizarding world, you need no prior knowledge of Potter to understand and enjoy the story. Reading this as a screenplay gave me a huge need to see the film again, but not much more than that. I wish terribly Rowling had released the five films as books first, but in not doing this, she's making the films all the more special.